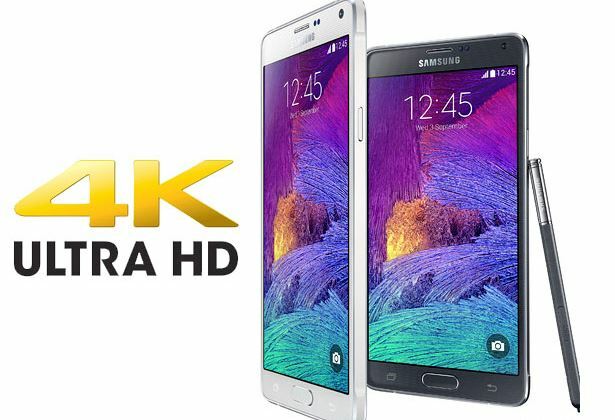 If you thought that Samsung’s Galaxy S6 rendering the QHD or 1440p resolution was overkill on a 5.1 inch screen size, then wait till you get a load of the rumor concerning the screen resolution of Samsung’s Galaxy Note 5. 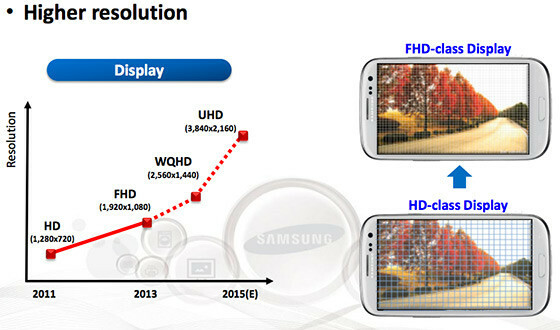 It appears that the company’s upcoming flagship phablet is going to be resonating the UHD resolution, and for those who are unfamiliar with that abbreviation; that particular resolution is measured as 3840 by 2160 pixels, making Galaxy Note 5 the first smartphone to render the 4K resolution. How is the QHD resolution for your Galaxy S6 coming along? Evidence that the South Korean phone giant is working on a 2160p resolution was found was when the company had earlier confirmed in its Analyst Days presentation slides that it would be working on Super AMOLED displays that would be exuding the 3840 by 2160 pixel resolution. These particular displays are set to be incorporated in to mobile devices later in the year, which is sufficient enough to confirm that Galaxy Note 5 is going to sport the same specification. Additionally, the high resolution would also mean that the device’s PPI value would increase drastically, going beyond the 700 PPI value. However, the only drawback is that on such a small display, not many smartphone users are going to notice that difference. It is expected that Samsung will start display production in August, followed by the IFA 2015 expo, which is going to kick off in September 2015. Samsung will most likely debrief the technological populace on what features Galaxy Note 5 will be possessing, along with an official release date. The exact PPI value of the screen sizes will be 762 PPI and 748 PPI respectively. We are only wondering that if this actually happens to be true, then it will warrant a gargantuan sized battery to be incorporated in to Galaxy Note 5, otherwise consumers should gear up for quick battery depletion issues.